Magnolias come with with a fascinating history and are almost as old as time itself. The oldest fossilised specimen dates back to 20 million years ago and plants which are most certainly identifiable as belonging to the Magnoliaceae date to 95 million years. Named after the French botanist Pierre Magnol, this ancient flowering plant appeared on the Earth even before bees and it is believed that the flowers evolved to encourage pollination by beetles. The natural range of the Magnolia species sees a main centre in east and southeast Asia and a secondary centre in eastern North America, Central America, the West Indies, and some species in South America. This possibly explains why people become wary about growing magnolias. The early flowers can be susepible to frost and coupled with their domineering height it can put some keen gardeners off. However, you should absolutely read further because as Ken Cox explains, it is entirely possible to grow these magnificent bushes in your own garden and you will be very glad you made the effort when the flowers start to bring their beautiful burst of colour to your garden. "I'm standing here at the Gardens at Glendoick in a fine spring morning underneath one of our magnificent magnolias. 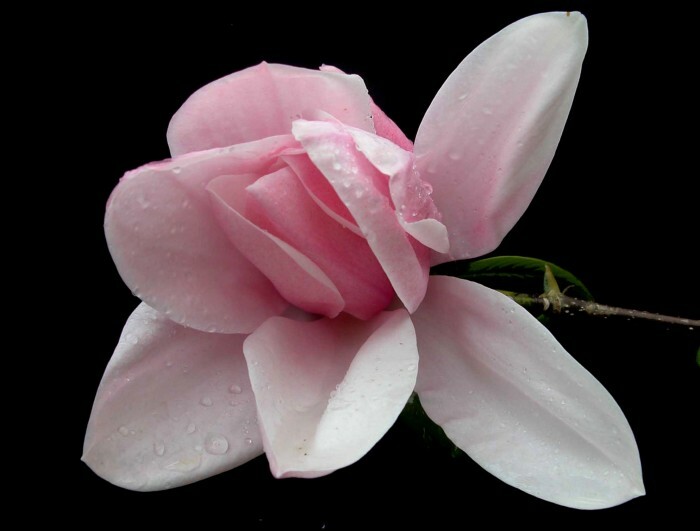 This has been here for about 90 years now and its one of the star magnolias, This particular one is called magnolia leonard messel and is one of the Magnolias that we recommend for a small or medium sized garden. I realise that this plant is about 25 feet high but this plant has been here since the 1920s, its nearly a hundred years old so you have to bear that in mind because not everyone has room for a Magnoia of this magnificence. Star magnolias are fairly easy to grow and they flower on every single shoot of every single year flowering in April. Another one of the star magnolias, probably the most popular of them all is called the magnolia stellata. This is pure white and one of the easiest magnolias to please. What do magnolias require? If you want to have a happy magnolia - well, they need a little bit of wind shelter, there's no doubt that if the flowers get blasted by east winds in the spring they just go brown quite quickly. They need some fairly rich soil and they like a lot of feed. We find that if you put a bit of manure or something like that in them it keeps them happy, but any fertilizer will do and they do need a reasonable amount of space so don't make the mistake of planting them too near a house or a wall or something like that. They really do need a little bit of space to spread out, but otherwise they're really quite easy and reliable (unless we get a really horrible spring with terrible frosts) they will produce a magnificent show for you every year. The other main category of spring flowering magnolias are the goblet magnolias so called because as the magnolias open out they look like a goblet or a glass. This one is magnolia soulangiana which is by far the most popular kind. The largest Flowering Magnolia of them all is called Magnolia Campbellii which comes from the Himmalayas. It's absolutely magnificent and if you go to Cornwall you'll see fantastic plants of it. There are all sorts of problems and challenges with growing it in Scotland not least of which it grows for 20 years without bothering to flower and then somewhere 40 foot up in the air or so, certainly 20 foot up in the air, you get the flowers. They come very early, they usually get frosted, if they're not frosted the flowers are usually blown off in the wind. So, somebody in New Zealand decided to cross magnolia campbelli with this little Magnolium - Magnolia liliiflora 'Nigra' which is very hardy and flowers very young - this is magnolia star wars - I reckon its the number one magnolia now of all. It has every attribute that you want, its a magnificent goblet flower - one of the really clever things about it is that it opens its flowers over several weeks so if theres a bit of wind or a bit of frost you dont loose everything in one go and it flowers from a very young age and it flowers on every single shoot every single year. Now this is probably one of the oldest plants in the country and its probably about 15 or 20 years old now and every year its absolutely magnificent so if there was one magnolia for me, I would plant star wars."